외국인 홈스테이 하실 분을 찾습니다. 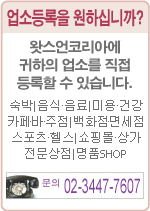 관심 있는 분은 kethy75@hotmail.com으로 연락주세요. I'm looking for a friend who want to stay with Korean's house. It's near subway line 1, Wolgae station(월계역).